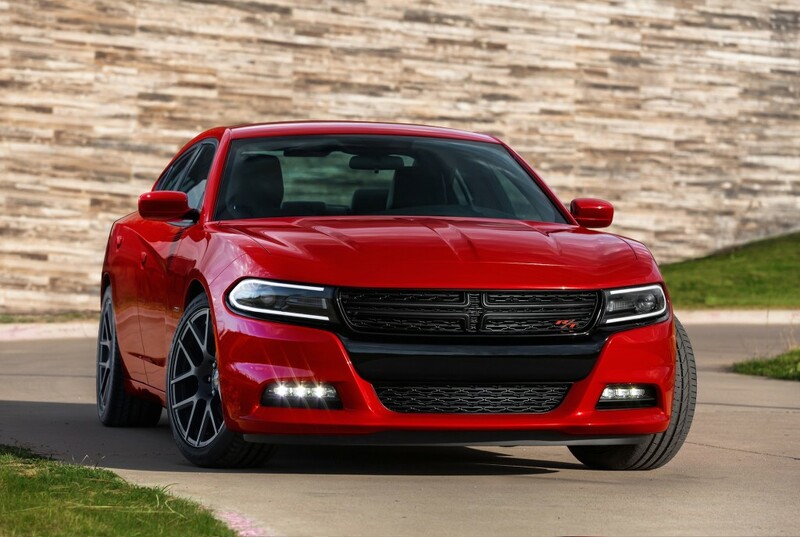 Dodge has unveiled the dramatically revised 2015 Charger at this week's New York Auto Show. By its own admission, the company has reworked just about every body panel on the car, so while similar under the skin the new Charger projects a very different image. Many of the car's styling tweaks are influenced by the smaller Dodge Dart. Both the blacked-out grille and the projector-equipped headlights are slimmer, the latter now laden with distinctive C-shaped LED daytime running lights. 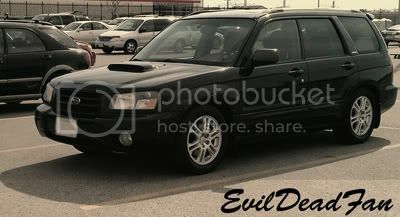 The front bumper has been revised, incorporating separate LED running light units, and the hood has also been redesigned. The car's characterful side profile remains largely unchanged, but Dodge still notes new front and rear fenders and new doors. Towards the rear the Charger's signature body-width light bar has taken on a smoother, curved appearance. This too is lit by a 'racetrack' of LEDs, just as it was on the older car. The bumper too is smoother, with exhaust outlets now integrated into the bumper's lower panel. A small lip spoiler on R/T models replaces the raised spoiler used on previous Chargers. Six new 20-inch alloy wheel designs are available, including a 20x9 inch forged aluminium wheel option. A set of 'heritage' color options, including B5 Blue and TorRed, join the options list. The overall effect is one of added sophistication, a feel that continues inside. Dodge has introduced a 7-inch thin-film TFT screen in the gauge cluster, while touchscreens up to 8.4-inches across dominate the center stack. 3-D navigation and downloadable apps are both available. 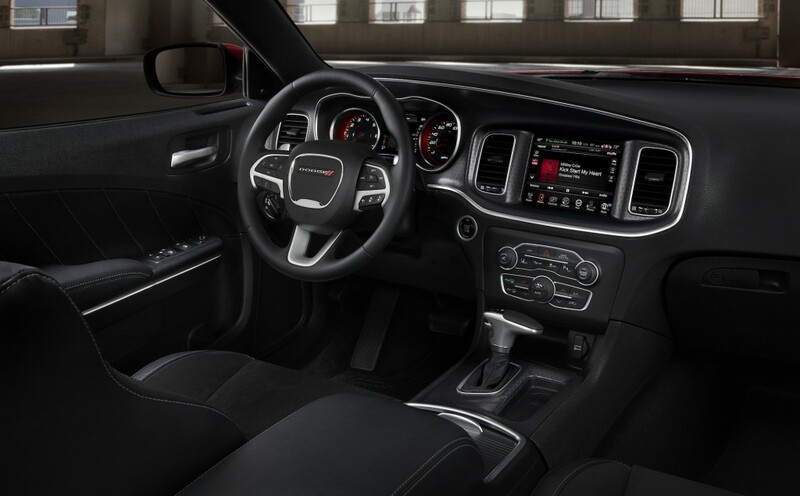 The steering wheel, shifter knob and interior trim options have all been revised, while several technical features are now available. Drivers get trial access to Uconnect services, which include 9-1-1 and assist call, roadside assistance calling options, theft alert, voice texting and a Wi-Fi hotspot, among other features. 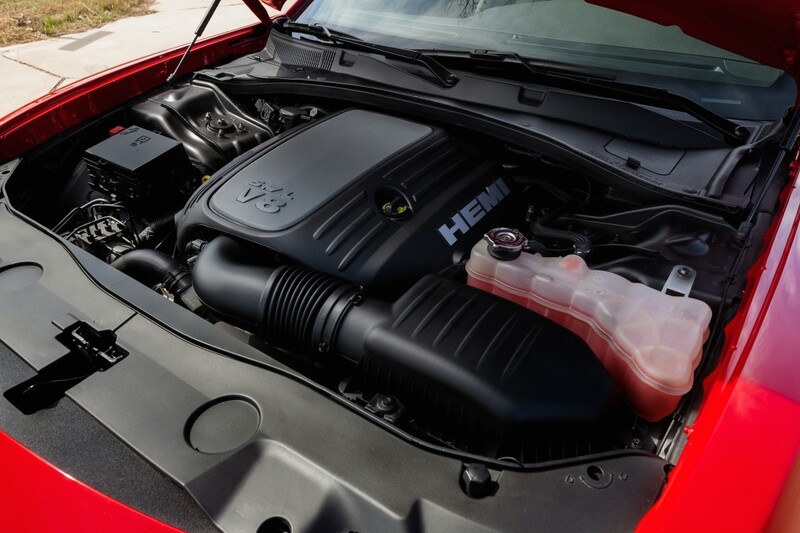 Performance fans will be glad to hear the 5.7-liter HEMI V-8 is going nowhere, still offering 370 horsepower and 395 lb-ft of torque. Efficiency is given a boost by four-cylinder deactivation technology though, and a new TorqueFlite eight-speed auto should aid both acceleration and cruising efficiency. Those after even lower fuel bills will look to the new 3.6-liter Pentastar V-6, capable of 31 mpg on the highway. This too gets the eight-speed auto, but performance is still strong, with 292 horsepower and 260 lb-ft of torque. 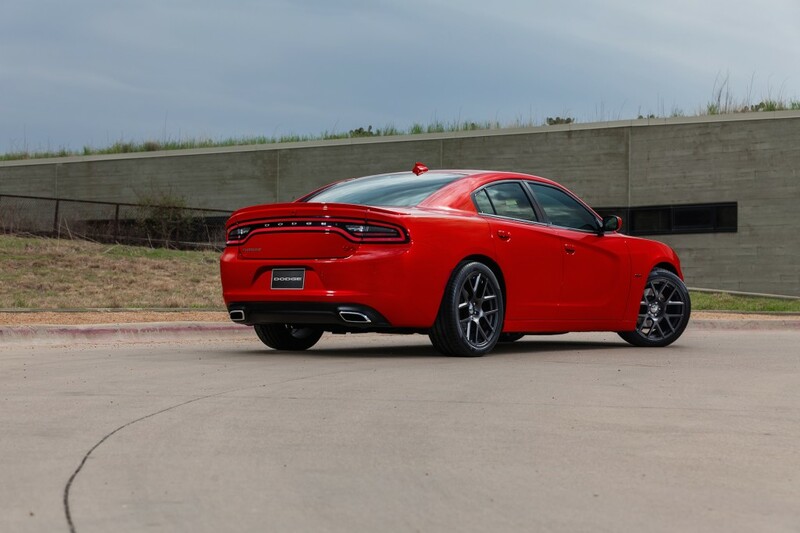 Opt for the Charger SXT with the Rallye Appearance Group package (a cold air intake, new exhaust and some ECU tweaks), and those numbers are lifted to 300 horses and 264 lb-ft. SE and SXT models are available with all-wheel drive, for those in less clement climates. 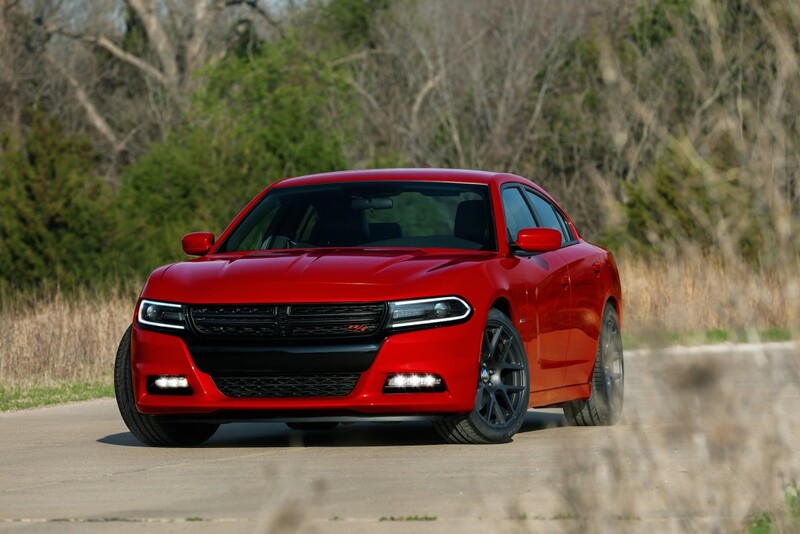 Details on the 2015 Charger SRT will be released at a later date. 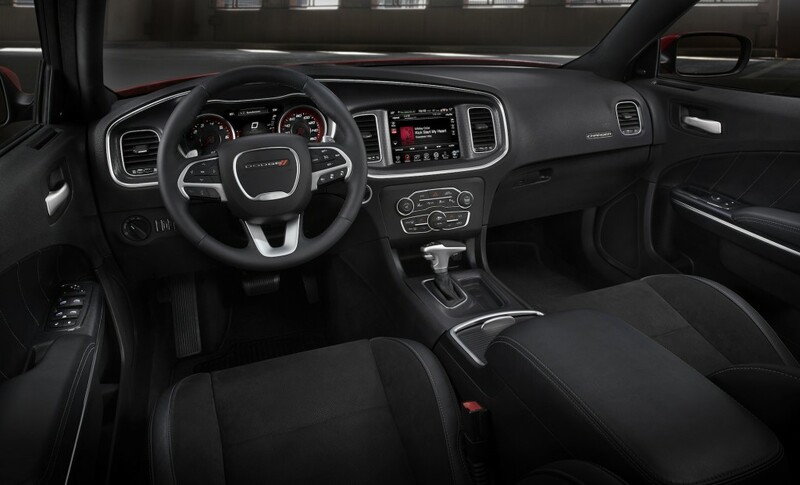 Dodge promises a better drive than ever from the Charger, with Normal, Comfort and Sport modes to the electronic power steering, lighter cast-aluminum axles and a sport mode for the automatic transmission. Changes take just 250 milliseconds--versus 400 as standard--and throttle mapping is more aggressive. The shifter itself is now fully electronic for greater response and minimal effort. 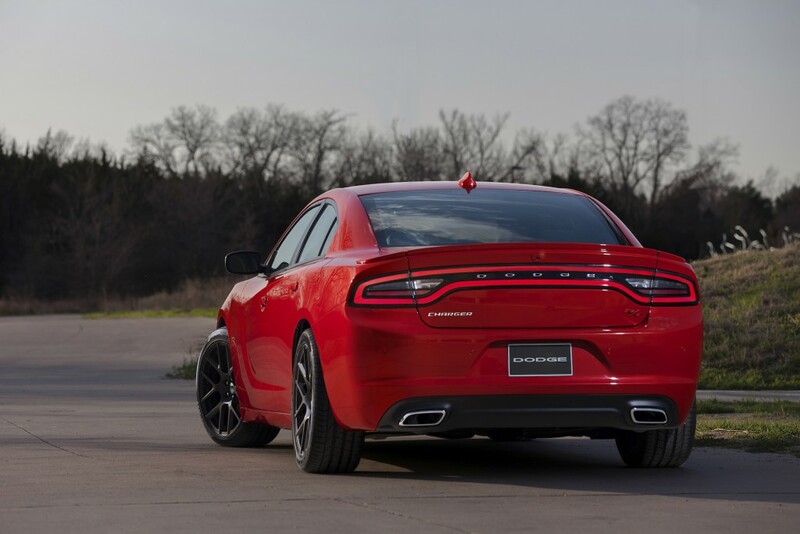 Production of the 2015 Dodge Charger is slated to begin in the fourth quarter of 2014, with deliveries soon after. Head over to our New York Auto Show hub for more news and photos from the show. I'm unsure. Too Dart-ish for me. Last edited by captobvious75; 04-21-2014 at 07:15 PM.